The Dominee Huisvrouw: Jump For Joy! 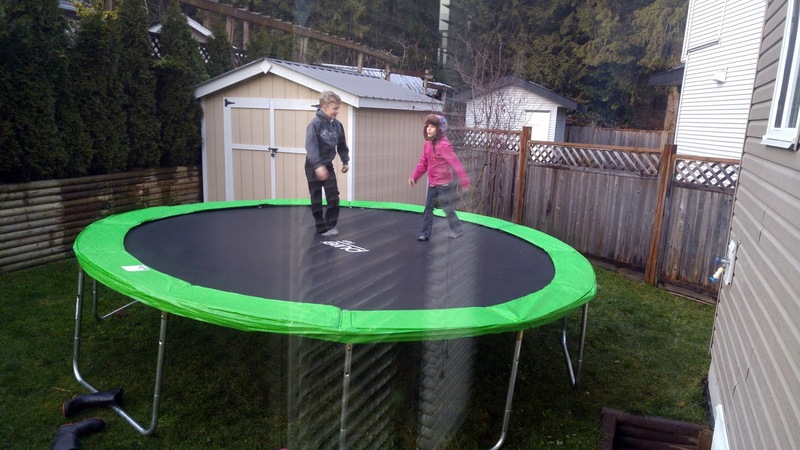 For the past year, Asher & Chancery had been begging for a trampoline. Chad & I decided that they could pool their allowance & Birthday money & buy one together. We researched online prices & found the best option was to buy from the States & have it shipped to my parents. After a few months, the kids had saved enough money, & we ordered the trampoline in October. We decided it didn't make sense to put it together just before winter, so we held off, & we were glad we had when we got snow in December. In February, once it had all melted we decided it was time to assemble! About an hour later & the kids were bouncing all around! 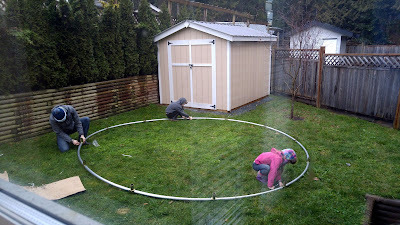 Now, a week later we have another foot of snow, so it's a bit too wet & chilly for bouncing, but as soon as the weather warms up the kids'll be back at it!